What does World Cup failure mean for soccer in the USA? When the US national team lost to the Trinidad and Tobago team in the CONCACAF tournament, a meeting of North and South American teams qualifying for the 2018 World Cup in Russia, USA was expected to continue its string of appearances in the World Cup since 1990. After all Trinidad & Tobago (or T&T) was ranked 99th in the world, the US ranked 28th, its population a little over a million, while the US is well over 300 million with a well-established professional soccer league. On top of that T&T was already out of the running for the World Cup, deep in last place having lost 7 out of 8 matches in the tournament when they faced off with the US squad. The US was in third and needed a win to get their tickets punched to Russia next year, but T&T were aggressive, scoring two goals in the first half of their qualifier match on October 10, 2017. But while most of the headlines you might see in the internet suggest that the storyline is the dramatic failure of the mighty US, the flip side of the story is the dramatic triumph of David over Goliath. And for those soccer fans in the two-island nation off the northern coast of South America, there was also satisfaction at achieving a measure of revenge. T&T came so close to qualifying for its first world cup in 1989, needing only to draw to advance. But they lost to the US 1-0, thus propelling the US to the World Cup in Italy the following year. T&T’s 2-1 victory over the United States has booted the Americans out of the 2018 World Cup. Honduras beat Mexico 3-2 and Panama defeated Costa Rica 2-1, the combination of results forcing USA into fifth spot in CONCAF qualifying. 10:59 SWEET REVENGE FOR T&T! It took 28 years, but T&T finally enjoyed sweet revenge over the United States. With T&T’s fourth win in 26 matches against USA, the home team avenged the November 19th, 1989 1-0 defeat that prevented T&T from qualifying for the 1990 World Cup in Italy. Double 10 – October 10th – will go down in T&T football history as a date to remember, alongside November 19th. Tonight’s 2-1 victory came too late to propel T&T into the 2018 World Cup. But there was the satisfaction of ending USA’s World Cup qualification bid. One could say this was the ultimate revenge for USA’s 1-0 win on November 19th, 1989, a result that abruptly ended T&T’s hopes of qualifying for the 1990 World Cup in Italy. Letter to My Younger Self: If Sports Prodigies Could Go Back to the Future, What Advice Might They Get? The Players Tribune is a internet forum devoted to the athlete’s perspective. Hounded and misquoted by the press, Derek Jeter believed athletes needed a place for them to tell their story in their own words. One of the features of The Players Tribune is Letter to My Younger Self, an opportunity for athletes to reflect on their youth, and what their current self would have told their younger self. Kobe Bryant‘s advice to the high school prodigy that he was is interestingly of a financial nature, and somewhat insightful. He explains that giving your friends and loved ones things, nice things, expensive things, is not doing your friends and family a favor. In fact, two-time Olympic gold medalist, and five-time NBA champion, Bryant would tell his younger self that giving things away is an act of selfishness, and not a responsible way to take care of those you care for. You love them, and they were always there for you growing up, so it’s only right that they should share in your success and all that comes with it. So you buy them a car, a big house, pay all of their bills. You want them to live a beautiful, comfortable life, right? But the day will come when you realize that as much as you believed you were doing the right thing, you were actually holding them back. You will come to understand that you were taking care of them because it made YOU feel good, it made YOU happy to see them smiling and without a care in the world — and that was extremely selfish of you. While you were feeling satisfied with yourself, you were slowly eating away at their own dreams and ambitions. You were adding material things to their lives, but subtracting the most precious gifts of all: independence and growth. Understand that you are about to be the leader of the family, and this involves making tough choices, even if your siblings and friends do not understand them at the time. When you’re young, you’re care free and often pain free. But the aches and pains of the full-time athlete can take its toll. To world-class athletes, it’s often the mental stress that is the bigger test. According to three-time Olympic medalist between 1996-2004, Brandi Chastain of the US women’s soccer team, and four-time Olympian, Jackie Joyner-Kersee, managing pain and injury is a key to maturing as an athlete. And finally, if these athletes were to tell their younger selves to give pause, it would be for their parents, who unconditionally and thanklessly chauffeured them to practice and back, practice and back, practice and back. 2012 London Olympic semi-finalist, Caroline Wozniacki, wrote about the early morning drives to tennis practice, and how she wished she were more in the moment, more appreciative of those moments in the car. My favorite player on my home team ice hockey team, the New York Rangers, is goalie Henrik Lundquist. The two-time Olympian and gold medalist from the 2006 Turin Winter Games, Lundquist also remembers the long hours his parents drove him through all kinds of weather so he and his brother could play hockey. Brazilian goaltender Weverton rushes to celebrate with teammate Neymar. Neymar knocked in the winning goal, securing Brazil’s first Olympic gold medal in its religion of soccer. But it was Weverton the goalie who arguably won the match for the Seleção, with his lunge to the left and save of Germany’s Nils Petersen’s penalty kick in the last moments of the Olympic finals. Surprisingly, Weverton wasn’t even on the team five days prior to the start of the 2016 Rio Olympics. How did he get on the team, and find himself in the most intense moment, inside the pressure cooker of Maracanã Stadium, during Brazil’s most important sporting event of their Olympic Games? To be blunt, Weverton was lucky. Three times, circumstances conspired to change his fate dramatically. One of the world’s most prestigious football tournaments, the Copa América, is held in South America pitting the best of Latin America, with nations from North America and Asia. Unfortunately, Brazil had been going through a funk, and the team’s performance at Copa América in June was poor – so poor that team manager Dunga got the sack, a little less than 2 months before the start of the Rio Olympics. In a state of uncertainty and flux, Rogério Micale was appointed coach of the Brazilian squad that would assemble for the Olympics. While Dunga did not appear to consider Weverton for his Olympic squad, apparently Micale did. The second stroke of luck was an injury. Micale had Fernando Prass as his starting goalkeeper. Prass, at the age of 37, was having a fantastic year leading his team, Palmeiras, to the top of the Brazilian first division. On July 25, 11 days before the start of the Rio Olympics, Prass injured his right elbow. He was expected to make it back to the pitch on August 1, but his injury didn’t get better fast enough to satisfy Micale. The third circumstance that bent the heavens in Weverton’s direction was distance. Micale’s first alternative to Prass was Diego Alves, the goalkeeper for Spanish club Valencia CF. But Alves was not in Brazil, and with precious few days left before the start of the Summer Games, Micale needed someone in Brazil to begin preparations right away. That’s when he decided to place a phone call to the captain and goalkeeper for Atlético Paranaense, a professional football club in Curitiba, Brazil. His name was Weverton, and he was getting off the plane returning from this team’s loss to Sport Recife the night before. Weverton stops Germany’s penalty kick. That phone call would drastically change his life. Coach Micale wanted Weverton, who at the age of 28 had never been selected for the national team, to join the Brazilian national team for the Olympics. Not only that, with the start of the Olympics only five days away, Micale wanted Weverton minding the nets as the starter. How would Weverton Pereira da Silva do? Through the preliminary games, the knockout quarterfinals and semifinals – through five consecutive Olympic matches, Brazil and the newfound goalie did not give up a single goal. It took nearly 60 minutes into Brazil’s sixth match before Weverton gave up a score, a strike hit so sharply by Maximilian Meyer of Germany that no goalie would have had a chance. In other words, Weverton had already paid back the faith Micale had invested in Weverton. But it was at the very end of the finals, on that fateful kick by Petersen, when Micale’s investment paid dividends. Weverton, the accidental Olympian, saved the day, the match and quite possibly, the Olympics for Brazil. It wasn’t a 7-1 victory. The universe did not bestow such poetic justice, the redemptive opportunity for Brazil to equal their slaughter at the hands of Germany at the World Cup in 2014. Brazil hosted that World Cup, losing to Germany by 6, and ending that tournament in shame. On August 20, 2016, the day before the closing of the Rio Olympic Games, Brazil defeated Germany in the soccer finals, on the razor-thin edge of a penalty shootout. Despite the brilliance and success of Brazilian soccer over the decades, Brazil had never won an Olympic championship. On their 13th attempt, Brazil struck gold, and all of Brazil exhaled, and then danced. After a tense 90 minutes of play that left the two powers tied 1-1, and then an additional 30 minutes of extra time, it came down to penalty kicks. Germany’s Matthias Ginter was up first, and he slotted the ball into the lower right corner, the Brazilian goalie, Weverton, guessing correctly but not able to handle it. The German goalie, Timo Horn guessed correctly on Renato Augusto‘s shot, but the ball zipped into the upper right hand corner of the net. On Germany’s second attempt, Weverton had Serge Gnabry‘s shot lined up, but it slipped under his arm pit and into the net. Marquinhos of Brazil sent his shot into the upper left hand corner of the net to equalize. And on it went, Julian Brandt, then Rafinha, Niklas Sule, and then Luan, their aim, all true. When Germany’s Nils Petersen stepped up, with penalty kicks tied at 4-4, momentum was hinting at another score from Petersen. But momentum doesn’t last forever. Petersen’s shot went to Weverton’s left, and the Brazilian goalie got his hands out to block it. When the ball fell harmlessly aside, the Maracanã exploded. Everyone watching knew Brazil was on the verge of a magical moment. Up stepped Brazilian sensation Neymar, who had performed superbly during this Olympic run, and in fact scored Brazil’s only goal on a perfect free kick in the first half of the match. Gold and glory for Brazil was his alone to grasp, as billions around the world held their breath. Neymar nailed it, his knees buckling as he fell to the grass. A flood of tears streamed down his face, tears for so long kept at bay by the repressive weight of a nation. As he lay there on his back, his hands covering his face, there was nothing left for Neymar to give. But to Brazilians, he had given them everything as the stadium erupted in a cathartic fit of joy. The fears of the zika virus. The pollution of Guanabara Bay. The impeachment of the Brazilian president. The worst economy in decades. The constant news of corruption and crimes, and the concomitant and constant criticism Brazilians endured not only by foreigners but within their own ranks. At the moment the ball hit the back of the net, Neymar made it all right. Are the Olympics a worthy investment? Does the investment create legacies for the host country? The answer to those questions are often “no”, unfortunately, at least in terms of the billions spent on structures like stadiums and other various sports venues. Many of the structures built for the 1964 Tokyo Olympics still exist, like the Nippon Budokan, the National Gymnasium and Annex, as well as the Komazawa Olympic Park venues. Not only that, they live and breathe. Click below on the video to see and hear what I did. On Sunday, May 1, during the long break in Japan known as Golden Week, I took a short bicycle ride to Komazawa Olympic Park, and walk where 1964 Olympians walked. The Park is a collection of venues: Komazawa Gymnasium where Japan won 5 of 16 total gold medals just in wrestling, Komazawa Hockey Field where India beat Pakistan in a memorable finals between two field hockey blood rivals, Komazawa Stadium where soccer preliminary matches were played, and Komazawa Volleyball Courts where Japan’s famed women’s volleyball team mowed through the competition until they won gold at a different venue. On that day, thousands of people were enjoying unseasonably warm weather under clear, blue skies. The tracks around the park were filled with runners. The gymnasium was hosting a local table tennis tournament, and the stadium was prepping for the third day of the four-day Tokyo U-14 International Youth Football Tournament. In the plaza between the various Komazawa venues, hundreds were enjoying the weather with great food and drink. I was pleasantly surprised to find draft Seattle Pike IPA. While enjoying the cold beer on the hot day, surrounded by hundreds of people loving the day, I realized that Japan in the 1960s made great decisions in planning for the 1964 Olympics. I had a similar revelation earlier when I visited the National Gymnasium months earlier. So much of what was built for those Summer Games are a part of the everyday life of the Japanese. Japan built a fantastic legacy for 1964. What legacy will Japan begin in 2020? The weeks leading up to an Olympic Games can be exhilarating – for many, a once-in-a-lifetime period of gleeful privilege: receiving your kit, which contains your team outfit, training wear, and uniform for competition, being feted in pre-departure parties, meeting dignitaries and celebrities, and having all travel and lodging logistics taken care of for you. Alexsandar Duric, also had a once-in-a-lifetime experience leading up to his trip to the Olympic Games. But his was not one of glee and delight. As detailed in part 1, Duric was asked to represent newly established nation, Bosnia-Herzegovina, in the midst of an internecine war. He made the difficult decision to go. Now he had to figure out how to get there. Duric, who was not a person of means, had a small backpack, a kayak paddle that a good friend gifted to him, and $20 in his pocket. Now he had to travel some 2,000 miles from his base in Szeged, Hungary to Barcelona. He fortunately did not have to make it all the way to Spain. He just needed to get to Ljubljana, Slovenia where he would join his nine other teammates on the Bosnian team, and from there get on a plane to Barcelona. Duric made it to the Austrian border, and explained to the officials in Austria that he had a legitimate reason to enter Austria. “Why would an Olympian in this day and age be hitchhiking across Europe instead of being jetted and pampered as befitting his status” was what the officials were wondering. Even when Duric showed his invitation letter from the Austrian Olympic Committee, which was managing the process for the Bosnian Olympic squad, the Austrian authorities were skeptical, until they called the number on the document and confirmed that this unlikely straggler was, in actuality, an Olympic kayaker. The officials also asked someone who was headed to Slovenia to take Duric, and even phoned ahead to their colleagues at the Austria-Slovenian border to let Duric through quickly. United with the other members of the Bosnian team, Duric spend a few days in Ljubljaana before getting on a plane to Barcelona, finally no longer having to figure out the logistics. The first ever Bosnia-Herzegovina Team in 1992. He was Yugoslavian. More specifically, he was a Serbian born and raised in Doboj, a town in the province of Bosnia-Herzegovina. More intriguingly, he was a powerful kayaker, junior champion of Yugoslavia at the age of 15, and one of the top ten kayakers in the world at the age of 17. Aleksandar Duric had a very viable dream of going to the Barcelona Olympics, but his country was crumbling. Before the fall of the Berlin Wall, Yugoslavia was a diverse federation of republics and provinces, primarily held together by the former president, Josip Tito. When the Berlin Wall fell in 1989, and the USSR’s influence waned, Yugoslavia’s political world began to spin apart. In 1989, Serbia declared independence. Soon after, Croatia did the same. Bosnia-Herzegovina, which was a highly diverse province of Orthodox Serbs, Catholic Croats and Muslim Bosniaks, became an independent sovereign nation in March, 1992, and fell into years of a cruel and bloody civil war. Duric was an eyewitness to Yugoslavia’s disintegration as a teenage officer in the Yugoslav People’s Army, following orders while trying to understand why Serbs, Croats and Muslims who had lived peacefully were now at each other’s throats. He was ethnic Serbian in an army that was dominated by Serbs, in a region that held a Muslim majority. In 1992, Duric left the Army, his disagreements with leadership and distaste for the war making it untenable for him to remain in the Army. In fact, he felt the need to leave the country, settling in with a friend in a border town in Hungary. Out of work, out of training, away from family and friends, Duric merely bided time. Duric immediately understood the difficult decision before him. As he explained in his autobiography, “Beyond Borders“, Duric was swayed by his mentor’s rationale. What is the “Group of Death”? The “group of death”, a concept that sounds like it was named by an 11-year-old child listening to emo for the first time, was actually coined by Mexican journalists to describe Group 3 at the 1970 World Cup, which contained the defending champions England, the favourites Brazil, the two-time finalists Czechoslovakia, and Romania. Since then, the term has been much used, misused and very possibly overused to describe a group with a lot of good football teams in it, of which only two can qualify. 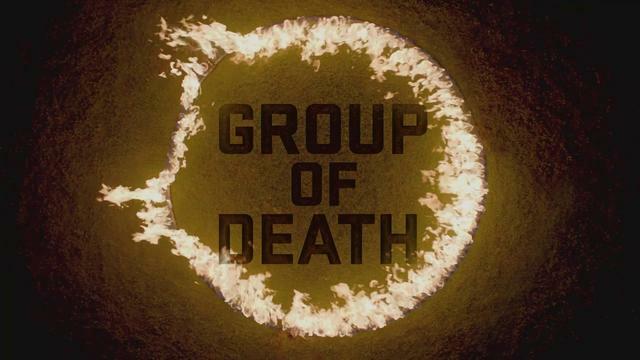 In the upcoming Rio Olympics, The Groups of Death in the men’s football (soccer) teams are in Group B, and in the women’s teams are in Group G.
This group is the Group of Death for this year’s Olympic Games. This group is composed of Sweden, Colombia, Nigeria, and Japan, loads of big-hitters in the U-23 game. Nigeria, Japan, and Sweden were all first-time winners of their respective confederation championships, making the competition fierce for one of the two qualification spots in this group. Colombia qualified by defeating the United States in the CONCACAF-CONMEBOL playoff after failing to meet automatic qualification by finishing second in the South American Youth Football Championships. It’s called Group G for a reason. Why? This is the Group of Death. The lowest-ranked team in this group is Colombia at 24, and they’ve given the United States, the top team in this group, their fair share of battles over time. New Zealand, the OFC champs, are actually ranked higher than Colombia at 16. France is second-highest ranked team in the group, ranked third and is one of two teams from UEFA to qualify for the Olympics via the World Cup.